People are our passion. Dentistry is our craft. Twin Leaf Dentistry is dedicated to providing the highest level of service and oral healthcare in a compassionate manner that is personally tailored to each patient's specific needs & desires. 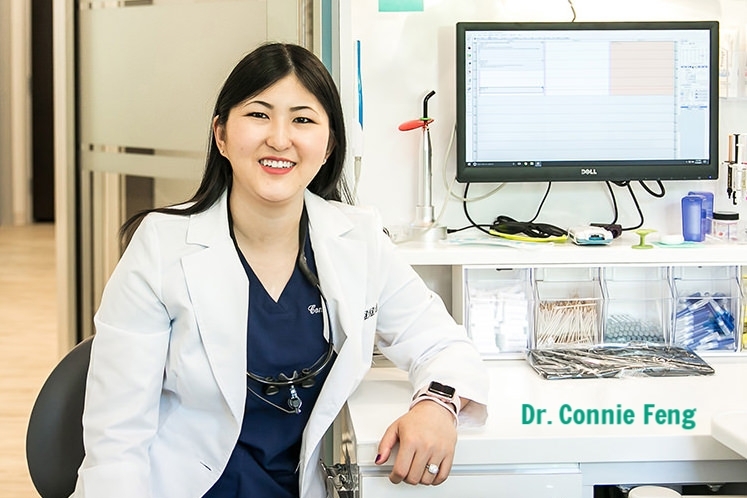 Holly Springs dentist, Dr. Connie Feng, is focused on smiles and their effect on an individual's sense of well-being, as well as the proper function of the jaw joints and bite. Our welcoming environment, modern technology, and team of highly trained professionals are here to make your visit comfortable and enjoyable. We invite you to explore our website and learn what we're about. Dr. Connie Feng has the keen eye and gifted hands of an artist. Along with knowledge of the latest cosmetic techniques, she provides the finest aesthetic and restorative dentistry available in the world today. She has also received advanced training on proper function of the jaw joints and bite, and how teeth and the materials used to repair them can affect the body and the overall health of a patient. ONE PATIENT AT A TIME, ON TIME. We would love to spend some time with you. We're right on the border of Apex & Holly Springs (physically in Holly Springs; mailing address of Apex). We're in the new building with the Urgent Care, right behind the CVS. We also provide emergency dental care, so please feel free to contact our office at any time with dental emergencies. Holly Springs, North Carolina Dentist, Twin Leaf Dentistry is committed to dental excellence and offers patients a comprehensive list of family and cosmetic dental services including dental cleanings & exams, teeth whitening, tooth colored fillings, crowns, bridges, dentures, Invisalign, veneers, TMJ, dental implants, and emergency dental care. Please come and visit Holly Springs, NC dentist, Connie Feng, DDS.